Phase II Beginning! It’s A Wash — An RV Wash! We had such a great time at the RV Show — was that almost 2 Months ago! Some of our friends from the show have taken delivery on their new RVs and found a home with us to keep in brand-spanking NEW! April was rough. We had our heaters pumping keeping units nice and toasty. We had 3 days of below freezing temperatures and an average of 50 degrees! But, today is beautiful — I’ve got road trips on my mind. But, over at the HD Indoor Facility, things are sprouting this Spring! 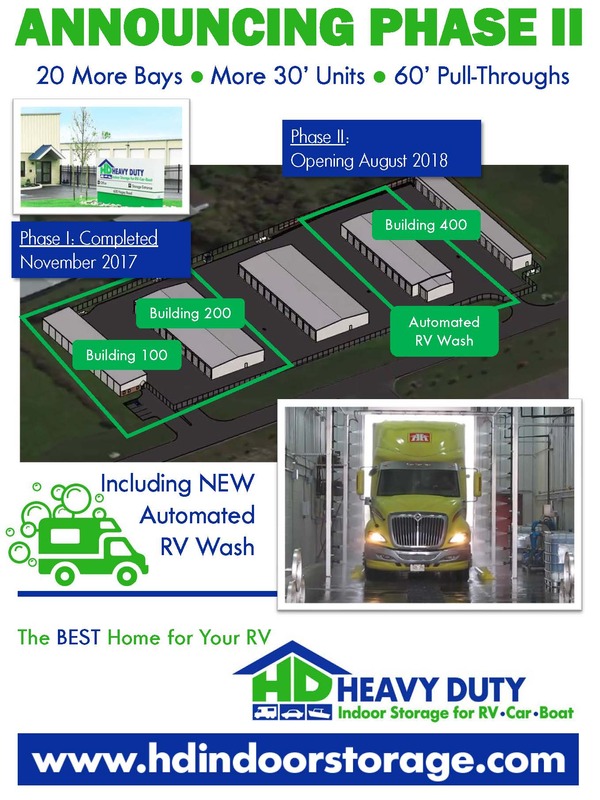 How about a new building with an automated RV wash? I’ve included our flyer with all the details and construction picks coming soon. Now, I’m going to work on some trip planning — always looking for inspiration.